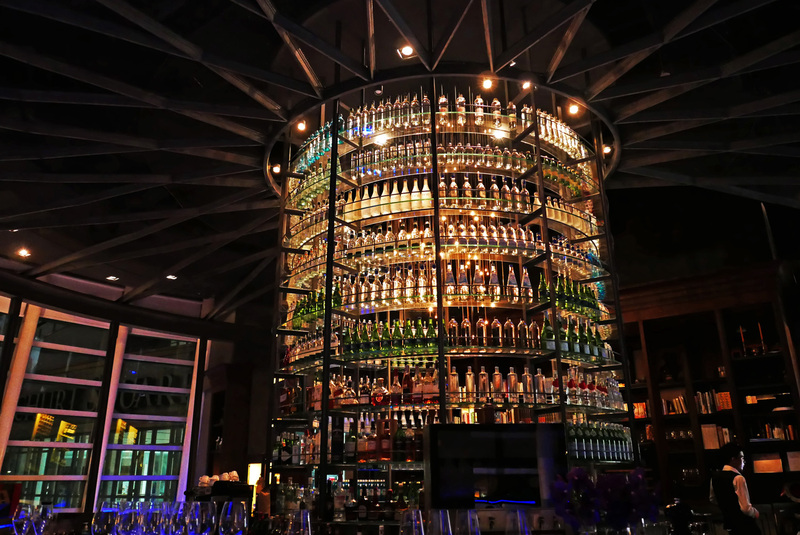 The Water Library in Bangkok – Normally the first thing that would hit you upon entering into a restaurant is their display of Wines. Here, unusually it`s Water , lots of it stunningly displayed in a floor to ceiling `library`. Focusing on their primary product I`m actually wondering what a Water tasters notes would read like after sampling the 30 or so different bottles they have on sale here. Wet , Rounded , Soft , Structured , Lively , Vivacious. My God…isn`t Water just Water , a vehicle for flavour ? 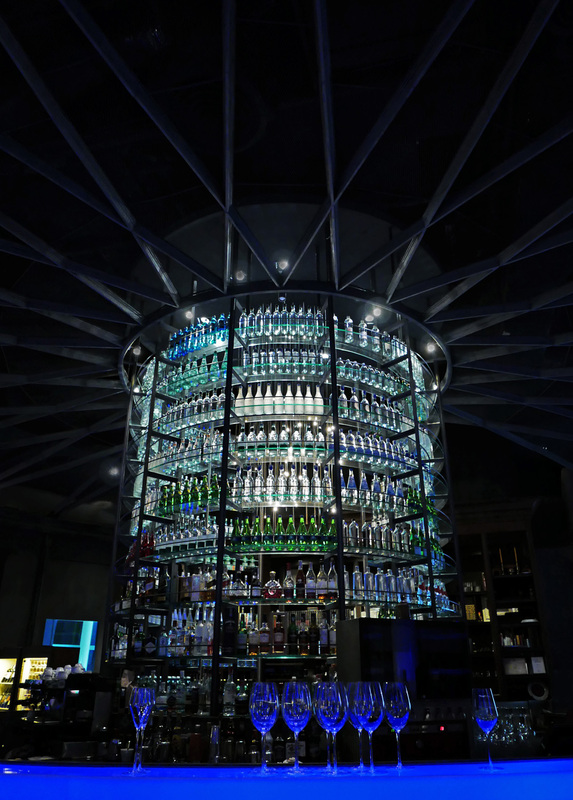 OK for the Water connoisseurs out there , there`s 30 different bottles here for you to discuss and sample during your meal . The prices start at £3.70 / $5.40 / 190 Baht and “tap out” at £5.80 / $8.50 / 300 Baht. Quite reasonable when you compare that to the likes of Veen £15 / $23 for 750 ml or the outrageously priced Kona Nigari at £275 / $ 402 for 750ml. Living here in the English Lakes I suppose i`m just totally spoiled. My tap water is perfectly drinkable and we have mountain streams that offer `Paradise` water on a hot summer day ( when we get one ). Anyway…..enough about Water. Chef Mirco Keller was born and grew up in Germany where he developed and progressed through some pretty decent kitchens. Two Michelin starred Tim Raue and One starred Adlon Kempinsky being the higher end restaurants where Keller was taught the trade. Bitten by the Thai bug Mirco became addicted to Bangkok , its culture and cuisine and the rest is history , I know how he feels. 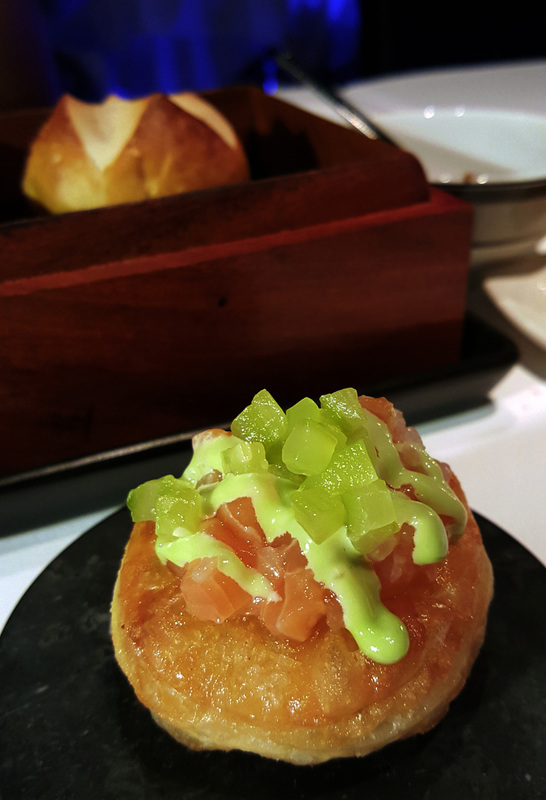 Over the years Chef has developed his own unique style of cuisine incorporating Thai and Asian influences gently paired up to European basics. Chef Keller came out to meet me after my meal , lovely guy and he would have talked food all night….next time Chef. 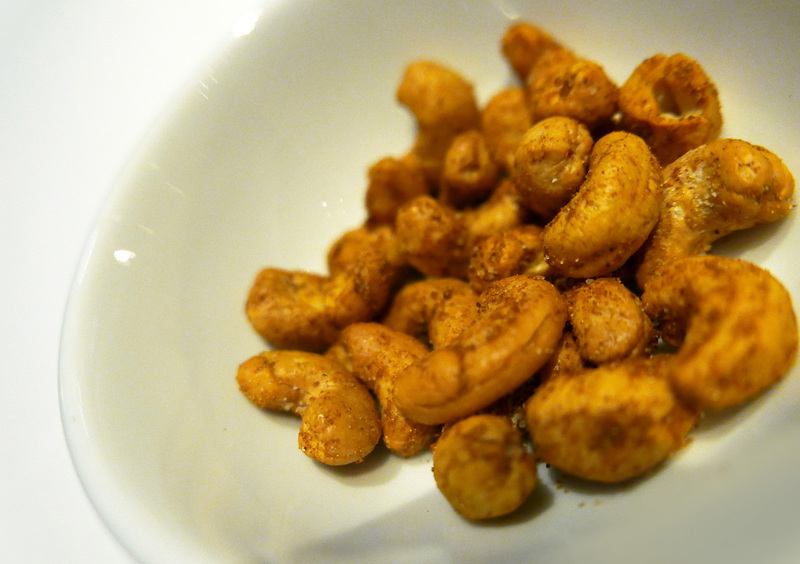 To begin – Spicy Roasted Cashews to set dinner off whilst reading the menus. 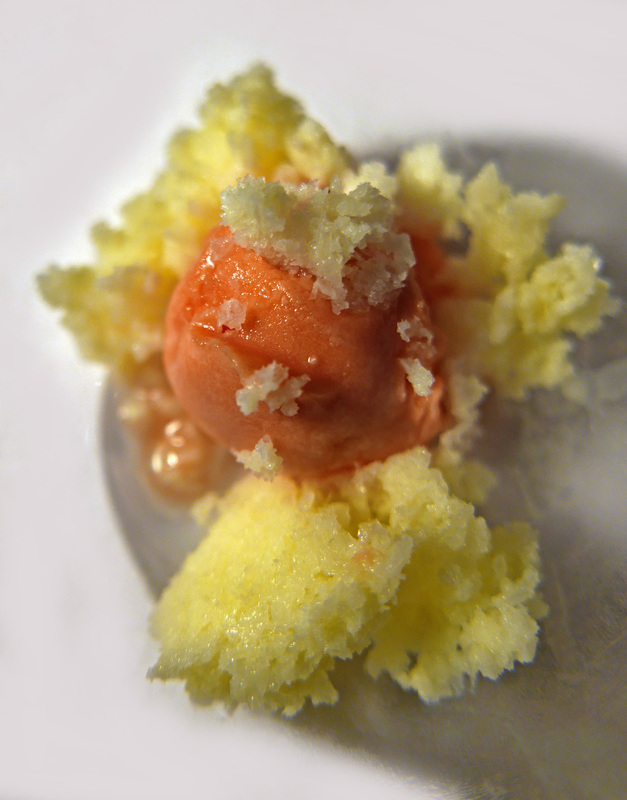 We went for the `Seasonal` Tasting Menu and the `Classic Tasting Menu both priced at £42 / $62 / 2190 baht . We had two different Wine pairings for the two different menus costing £19 / $28 / 990 baht ( for 4 glasses each ). For one of the best restaurants in Asia that`s a great price. 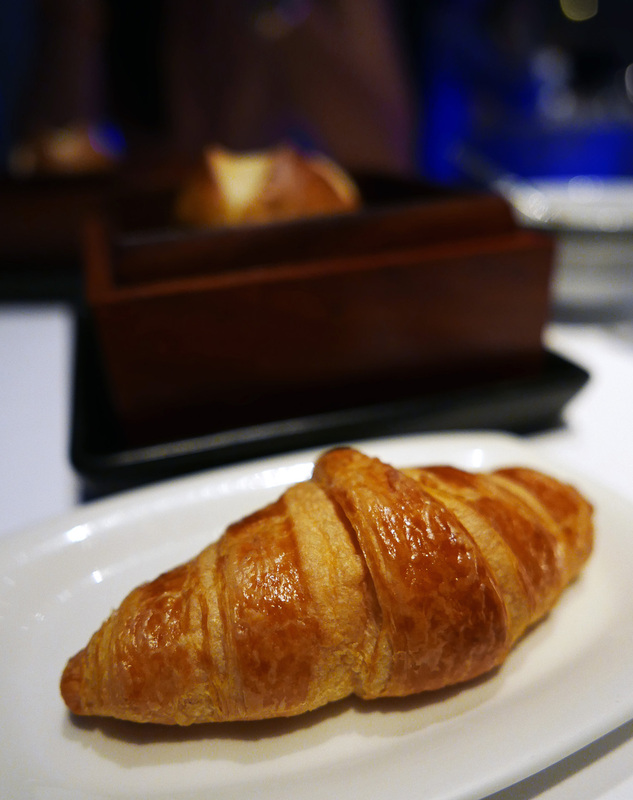 I`ve never had warm Croissants as a house Bread before but who am I to argue ? Fresh , crispy , Buttery classic. 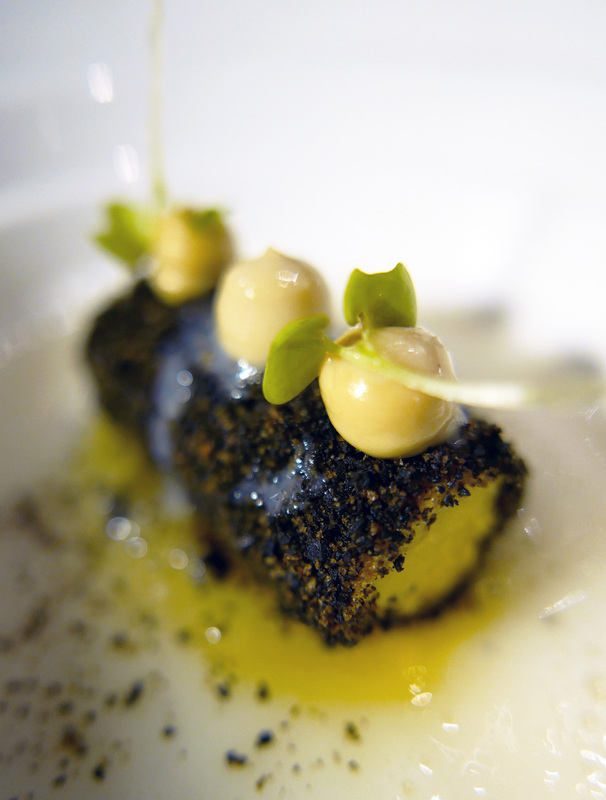 Foie Gras , Khao Tom , Lemon and Peanuts. 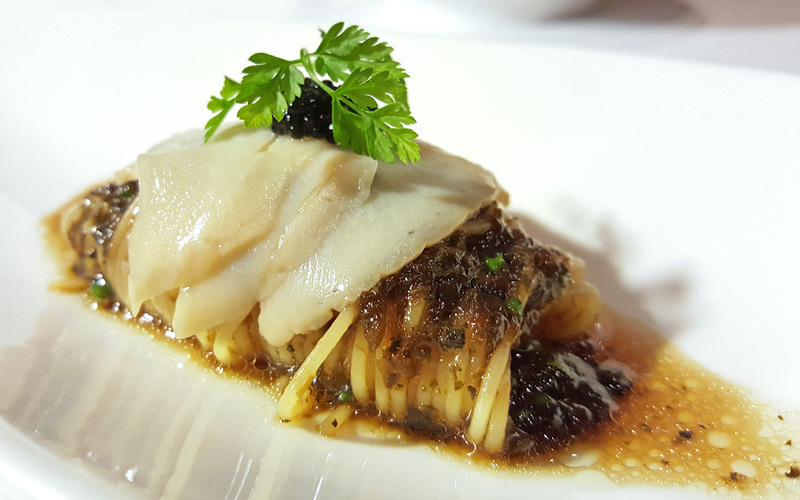 Cold Capellini Pasta , Wakame and Tasmanian Abalone. 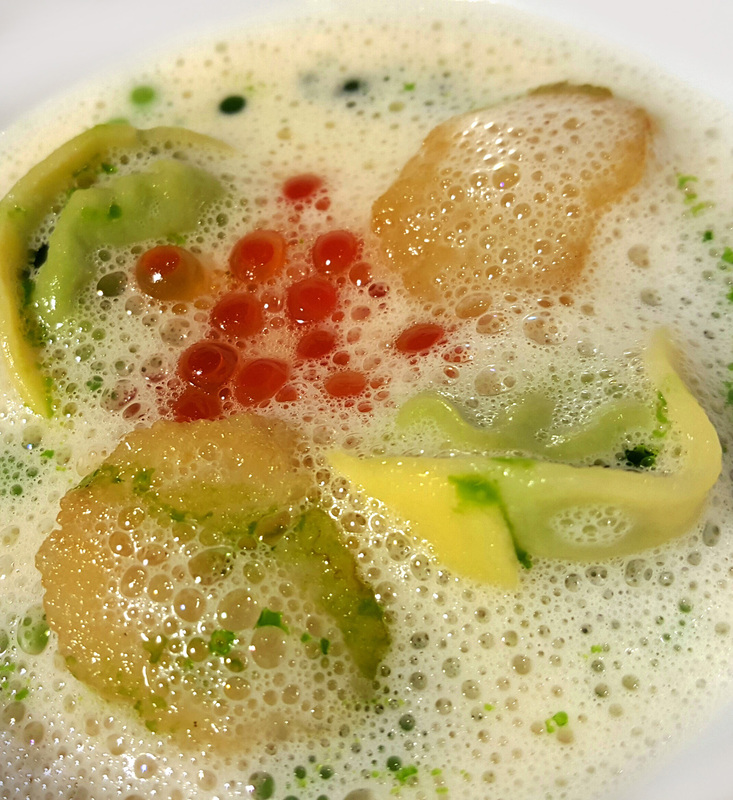 Seared Canadian Scallop , Béchamel , Green Pea and Ikura. 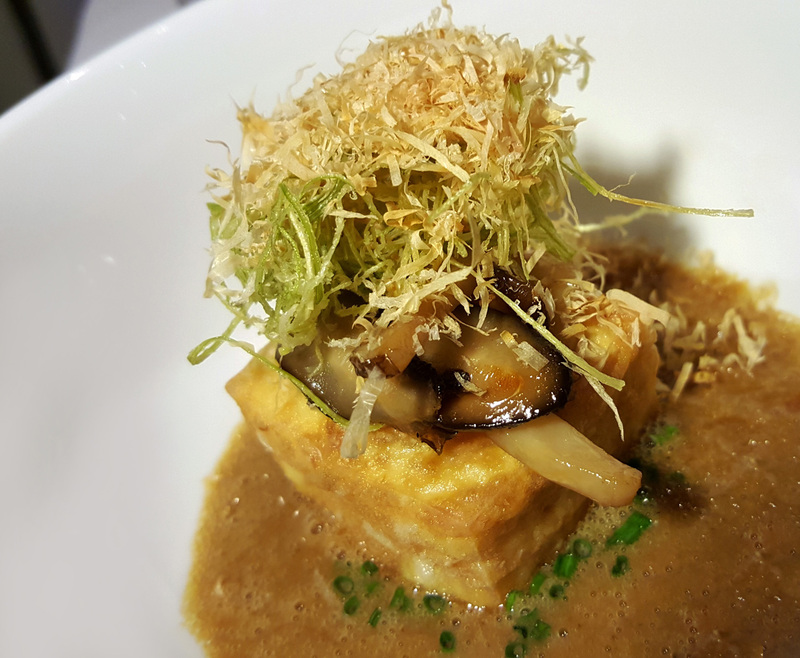 Crispy Tofu , Foie Gras , Shitake Emulsion , Bonito and Leek. 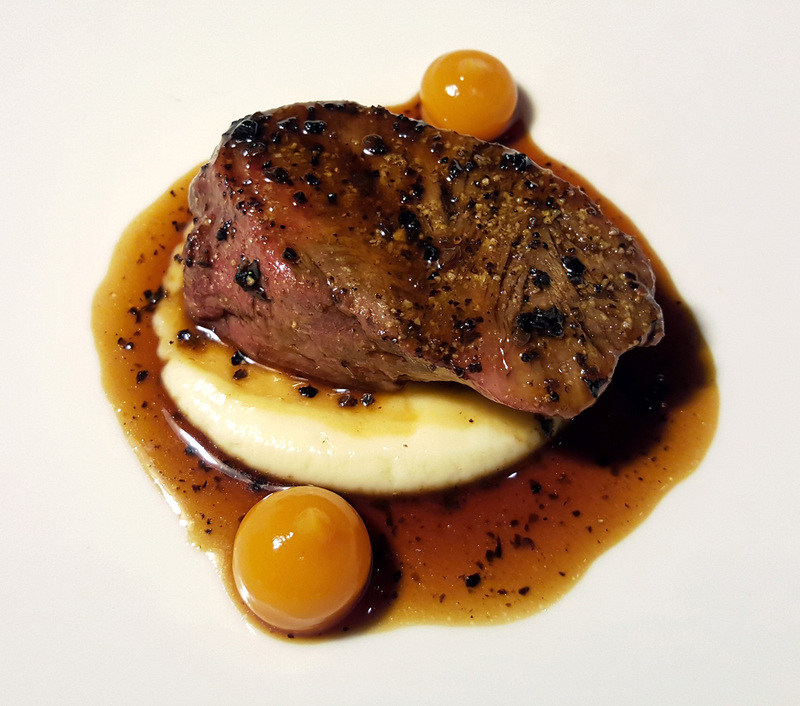 Wagyu Beef Cheek , Celeriac , Truffle sauce and Apricot puree. 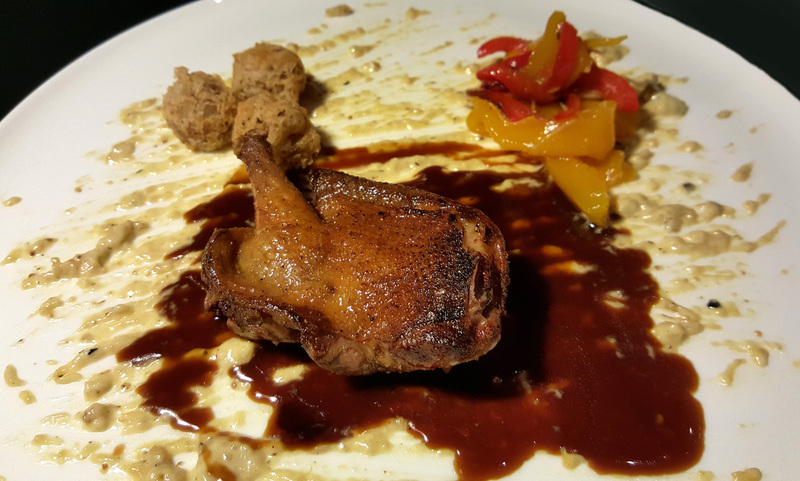 Roasted Pigeon , Pepper , Mango and Eggplant. 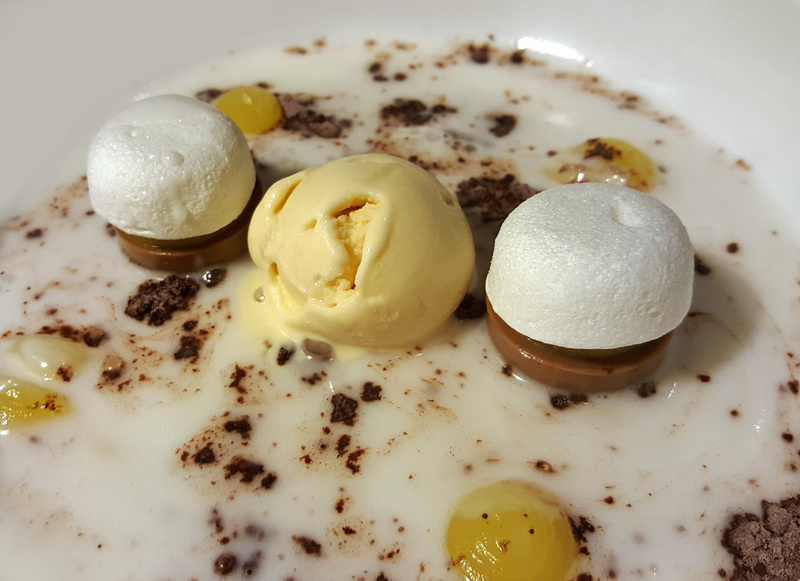 Gianduja , Pineapple , Coconut and Honey. 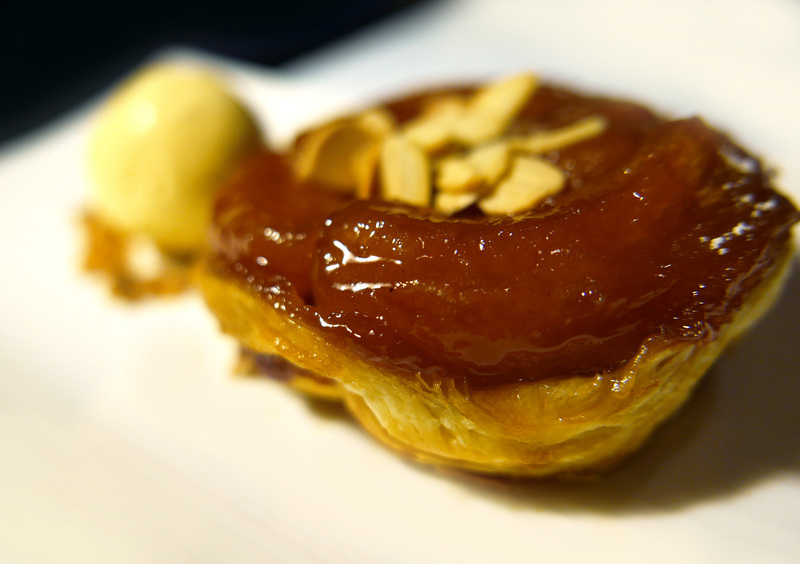 Roasted Apple Tart Tatin , Madagascar Vanilla Bean Ice Cream. 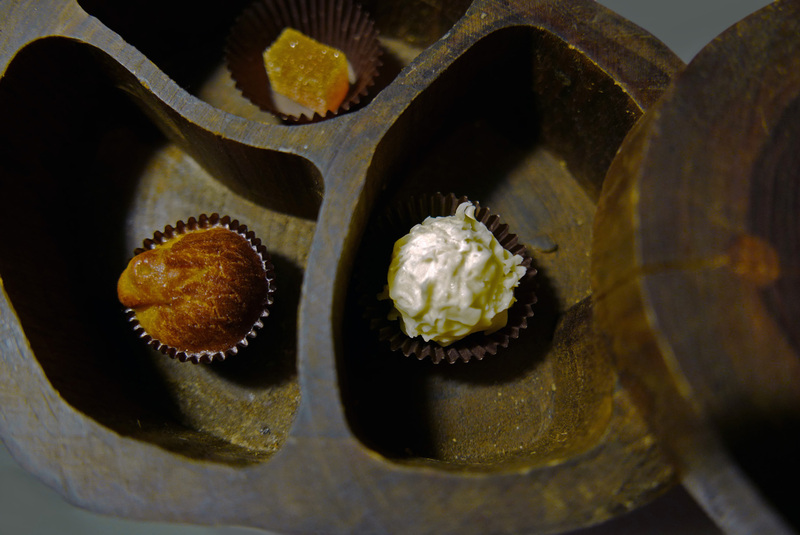 Little selection of sweet treats. Would I return to the Water Library ? Absolutely. Eating Thai food three or four times every day is totally amazing but we all need a breath of fresh air now and again. Kellers food is well sourced and all brought in from the markets daily ,cooked to order , and cooked well. Menus are priced reasonably for a top end restaurant in a major Asian city and the wine is well priced also. Next time ill upgrade on the Water , see if I can tell the difference. Service – Excellent well briefed staff for when awkward English customers started asking geeky questions about the food. TO VIEW MORE PHOTOS ON FLICKR THEN PLEASE CLICK HERE. Previous Post Le Cinq , George V, Paris , Best of the Best. Next Post Ledoyen , PARIS – Choose very wisely.